Paper, Lace and Buttons. : Scent of Lavender. With my birthday celebrations over sadly it was time to catch up on my orders and I chose the pretty Lavender collection from Pion Design. Pion design images matted with lace, florals and pearls, and the odd added bling gem. I also incorporated wax cord bow and laser chipboard heart. 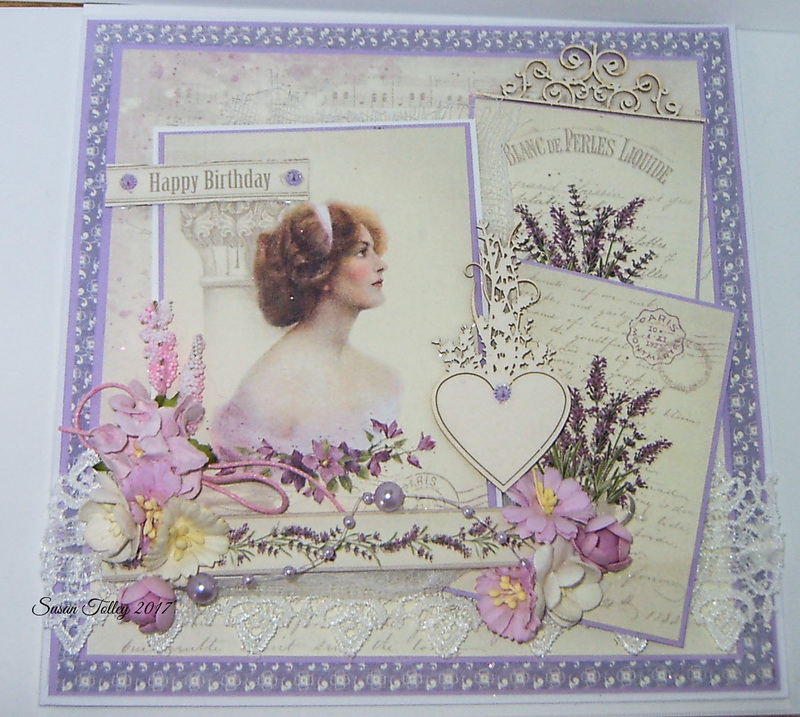 Finished card measures 8 x 8". Crafting with a attitude challenge 30 Anything goes.